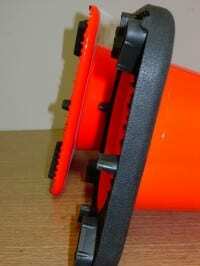 PARKING CONES – 18″ Injection molded cones don’t stick together. Unique Patented design bonds cone to base. Will not flake, peal or fade. 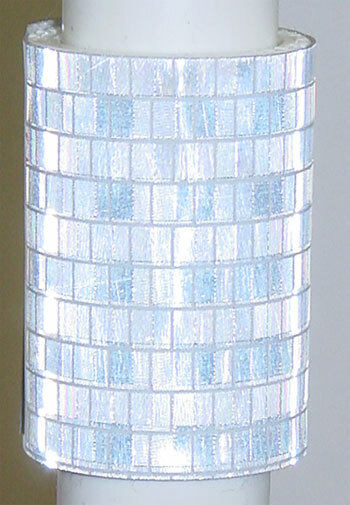 Two unique Reflective Strips for maximum visibility, day or night. Compare us to our competitors. 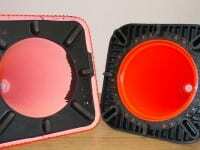 You will find that our superior quality and craftsmanship, unique patented design band bonded bases leaves no comparison. And don’t forget the reflective strip. 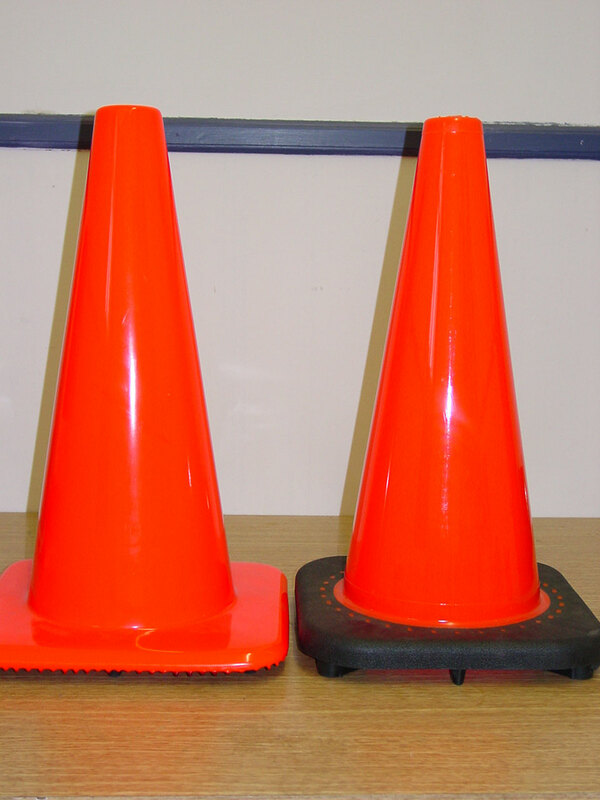 Compare our competitor’s cone (Left) with our heavy duty, sturdier cone (Right) with a bonded base. 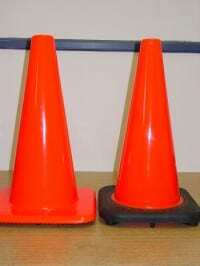 Compare the inside of the competitor’s painted cone with the IDEA heavy duty base cone that is solid color. 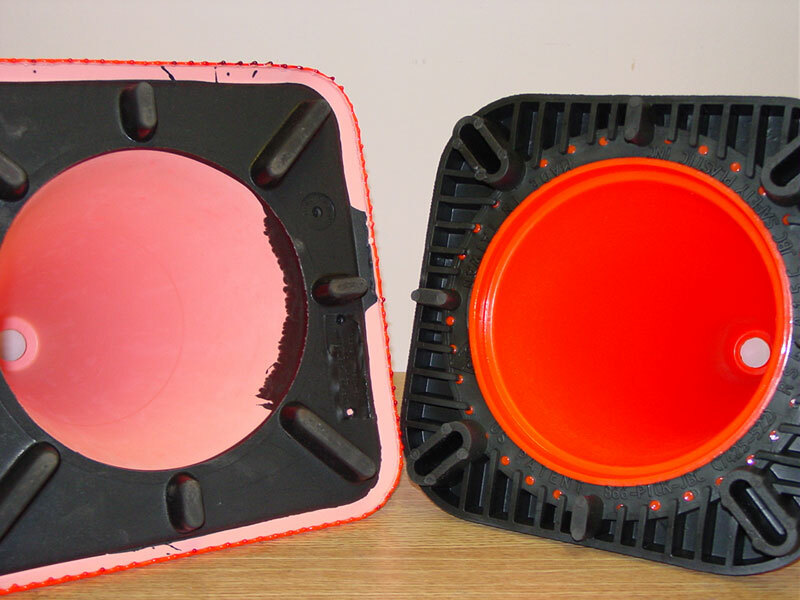 Our competitor’s base (left) compared to the IDEA Driver’s Ed Product’s wider, sturdier base (right).